We published an article last year about the discontinuation of popular topical Sodium Sulfacetamide-Sulfur treatments and why many were pulled from the USA market place. Many rosacea sufferers with papules, pustules and blotchiness from skin inflammation found these treatment creams, wash’s and mask’s an effective component in their rosacea treatment regiment. For those whom this was an mainstay in their rosacea care, re-emergence of their skin issues occurred or they had to seek out alternative solutions as discussed in our previous article. How the clay mask with sulfacetamide-sulfer works to help treat rosacea break outs and superficial skin issues. This new clay mask was designed to treat rosacea skin, clear and shrink pores, improve skin’s clarity, reduce blotchiness, gently exfoliate for a mild anti-aging action and treat co-existing skin disorders such as acne and seborrheic dermatitis. This product was developed to treat rosacea symptoms fast due to the Micro-clear™ technology that they employ that penetrates into the skin to treat inflammation and deep into the pores to clear sebum, oils, inflammatory substances AND actively constrict the pores. 3. Clears Pores and Shrinks the Pore Opening — the SS cream clears pores deeply with Microclear technology that liquefies impurities and actively shrinks pores with Kaolin Clay, Quillaja Saponaria Extract and Hamaelis Virginiana Distillate. 6. Treats Co-Existing Acne — many rosacea sufferers also have true acne due to inflammation interfering with the sebaceous glands of the face. The SS cream is an excellent treatment for mild-to-moderate acne that often accompanies rosacea. 7. Treats Co-Existing Seborrheic Dermatitis — many rosacea sufferers have seborrheic dermatitis due to the effect of rosacea’s inflammation on the skin’s immune status. The SS cream is an excellent treatment for mild-to-moderate seborrheic dermatitis that often accompanies rosacea. The SS clay mask is a unique treatment. It was designed to be placed on wet skin for 10 to 30 minutes prior to showering — it is meant to be an effective short-contact treatment. Most will want to start out cautiously to see how their skin reacts to treatment… as we know rosacea skin can react to the most inert substances. Simply place it on the skin for 10 minutes, allow it to dry and then rinse it off in the sink with gentle towel soaks or rinse it off in the shower in place of your facial cleanser. If you react positively, you can perform this treatment up to three times a week (i.e. Monday, Wednesday and Friday) to keep symptoms at bay or to quickly reduce flare ups. As your skin adjusts to the treatment, many can pre-treat the skin for up to 30 minutes for deeper treatment which allows for better treatment of rosacea symptoms, deeper clearance of pores and pore size, and enhanced anti-aging actions. Just remember that with rosacea, more is not always better, so please proceed slowly, monitor your skin’s reaction and increase treatment time cautiously. With any treatment please discuss with your medical professional possible interactions, side effects of topical sodium sulfacetamide – sulfur in your topical treatment regime. Click here to see benefits possible side effects, interactions via everyday health. 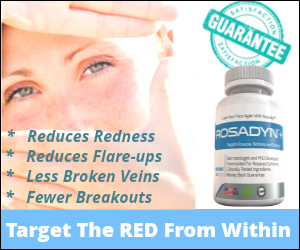 Share your experience….help your fellow rosacea suffers. What is Your Experience with Sodium Sulfacetamide-Sulfur Treatments? 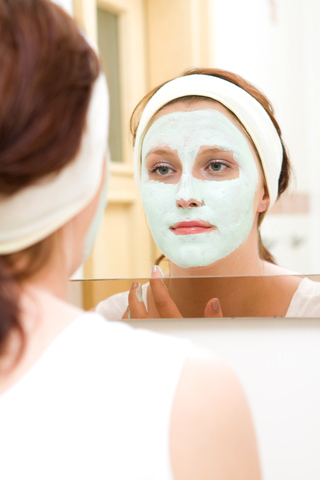 Have you tried this new Clay Mask containing Sodium Sulfacetamide-Sulfur? If you try this product please comment on the treatment and effectiveness to help other rosacea sufferers make an informed decision.